In the “Giving credit where credit is due department”: we are extremely happy that the Quartet Tour with the Music of Misha Mengelberg was able to tour the Netherlands and Japan and even make a visit to London with the help of the FPK, the Prins Bernhard Fonds, The Amsterdam Fonds voor de Kunst and the Norma Fonds. We couldn’t have done it without you! This Sunday! Han and Joris present the LP release of Icarus, which just received a four star review in Downbeat! Details on Sunday’s concert are here, and the full Downbeat review is here. Join us! Warsaw TV Promo, April 2018. Artist in Residence, Les Ateliers Claus, Brussels. Han will be hosting three exciting nights at Les Ateliers Claus in Brussels at the end of March. Day 1: Duo with legendary guitarist Roland van Campenhout. Day 3: Han Bennink Trio. French Press (that's a coffee joke). Birthday wishes in Derry, Northern Ireland (photo Susanna von Canon). 8 October 2017: The Book Launch. UPDATE: The book is now available from Subterranean Distribution. On 08 October 2017, the Kranenburgh Museum in Bergen, NL will open a unique exhibition of Han's creative output, featuring a "total artwork" that unites music, rhythm, organization and visual art. Drawings, photographs, assemblies, installations and collages come together in an exhibition designed by Irma Boom. The afternoon will also feature a 45-minute performance by the ICP Orchestra. In addition to opening Han's exhibition, 08 October will mark the official release of HAN BENnInK, a retrospective in book form of Han's visual art through the years, also designed and bound by master bookbinder Irma Boom. Han and The Quartet NL are hitting the road this September! 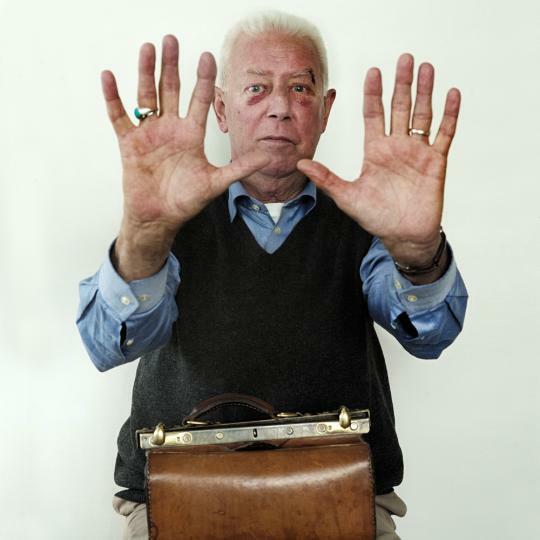 HAN BENnInK: Crowdfunding The Art Book. 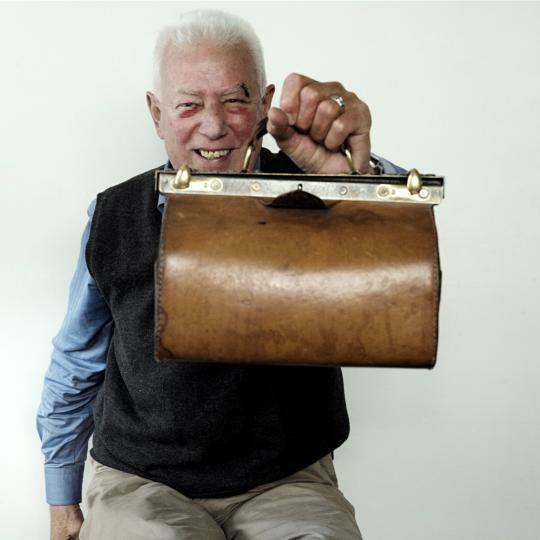 Han Bennink is well-known as a drummer, but not many people know that he is also a visual artist, and considers himself as a servant of two masters: music and art. He never studied music, but he does have a diploma from art school! Now that he's turned 75, there will be a major exhibition of his art work, opening in October 2017 at the Museum Kranenburgh in Bergen. But although there are myriad recordings of Han (many with his artwork on the cover! ), there has been precious little published of his visual art. Now we would like to give him a big birthday present - a book of his art work, designed by the world-famous Irma Boom. That's what this crowdfunding project is about, to make the book possible - and Han himself has donated ten collages for sale to support this endeavour, for € 500 each, all the profits going to the book. Irma Boom has made a special stop-motion film as well, which you can see on the crowdfunding project page at Voor De Kunst. Since the site is currently Dutch-only, they've set up a page to help English-speaking donateurs here, which allows you to donate via credit card and PayPal. € 250 or more the book and a mention as donor in the book and a personal mini-concert by Han at the opening. A sincere thank you very very much for considering a donation! 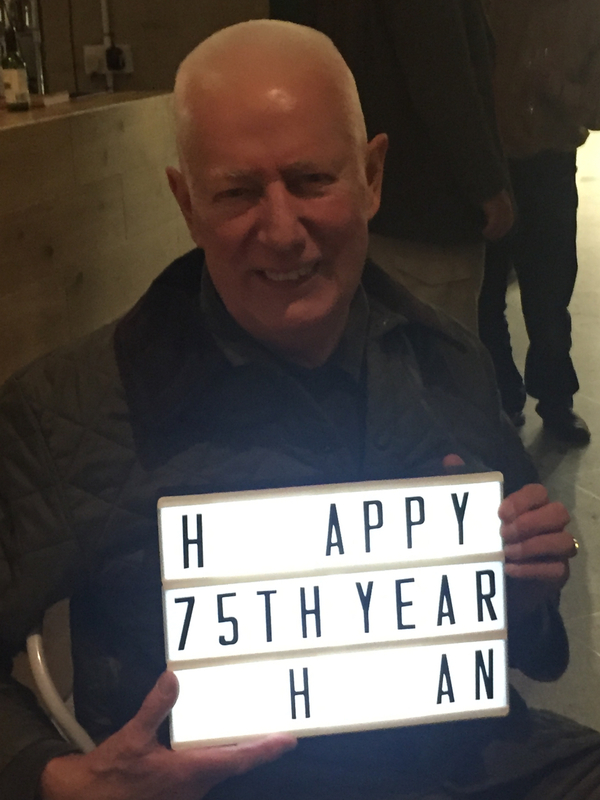 We're celebrating Han's 75th birthday and 50 years of the Instant Composers Pool with three days of concerts in Amsterdam's legendary Bimhuis. Join us! Han's trio with Joachim Badenhorst and Simon Toldam has a new record out! Here's the first review in English to hit the streets, from our friend Peter Margasak at the Chicago Reader. Available here from Subterranean Distribution. Hurtling through the cosmos like a demented drum legend on an Ethiopian bicycle, a new hanbennink.com is coming your way! 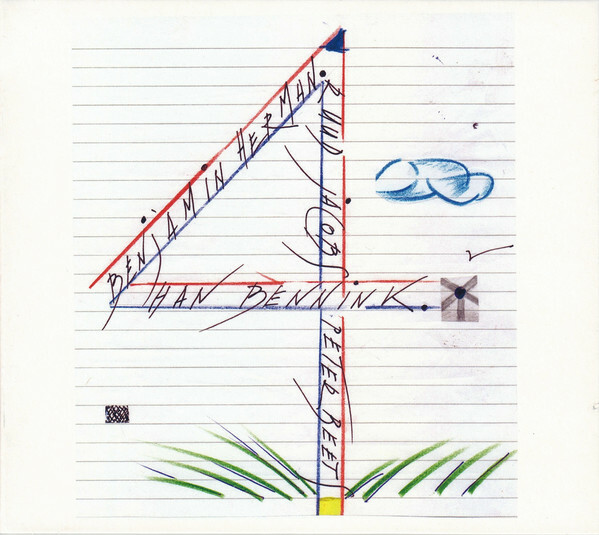 It'll be full of news about Han's imminent 75th birthday celebrations, but for now the only news fit to print is the release of the third Han Bennink Trio CD, Adelante, available here from Subterranean Distribution. More soon!